After 6 consecutive years of hosting this event, Race Founders/Directors Trish & Phil Link have decided to take a much needed break this year. Purchase photos from the 2016event and download previous year's at no additional cost! See Randy's site for full details! Thank You Joy Tamayose and Valley Isle Road Runners for your help with the start/finish line and timing calculations! 1. Kiss My Assphalt, 22:39 (average 5K time): Bo Greene, Bradley Krukal, Chuck Norris, Amy Bodner, Jolene Giles, Kristen Spees. Event photos by Randy Sherman. Visit randyhi.com to see some of Randy's work. Purchase photos from this year's event and download previous year's at no additional cost! awesome Awards & Prizes galore! "Team Time" (Average time of first four team members to finish) 50:01 !!! course marshal Ron Wall (below) will be sorely missed. 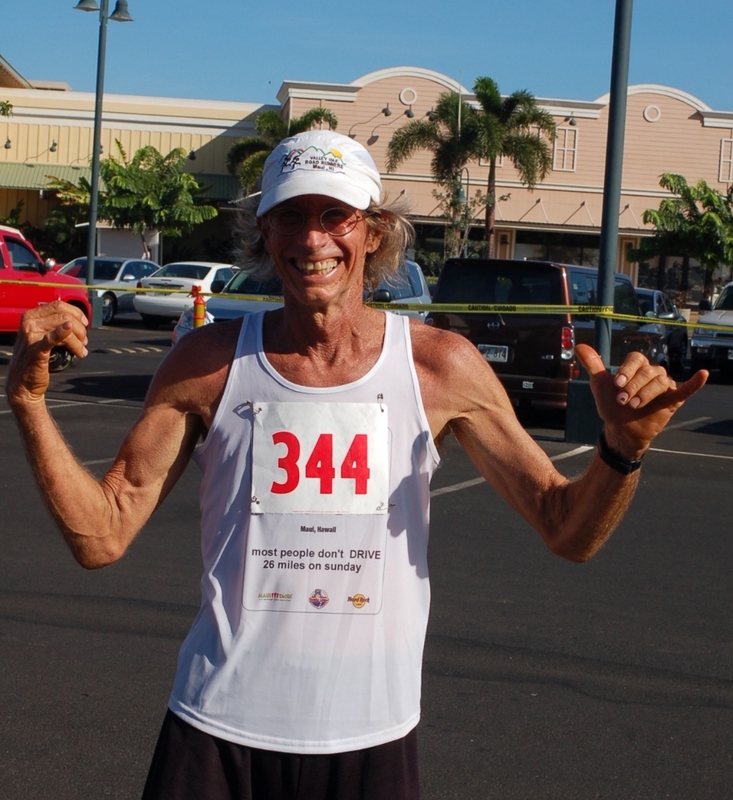 The Wiki Wiki 5K & 10K is proud to sponsor the Ainsley's Angels and show support for their Maui group. Captains and Angels participated free of charge in the 2015 & 2014 events, and we look forward to sponsoring them once again this year! Thanks to Angela Wideman-Powell for coordinating their participation in past years, and Pattie Norris this year! Aid station volunteer Bo Petty hands water to the 2014 Overall 10K Female division winner Renata Buchter (43:33) as she heads back within 1 1/2 miles from the finish line! Thanks to the tireless efforts of the many volunteers for their assistance with this event!